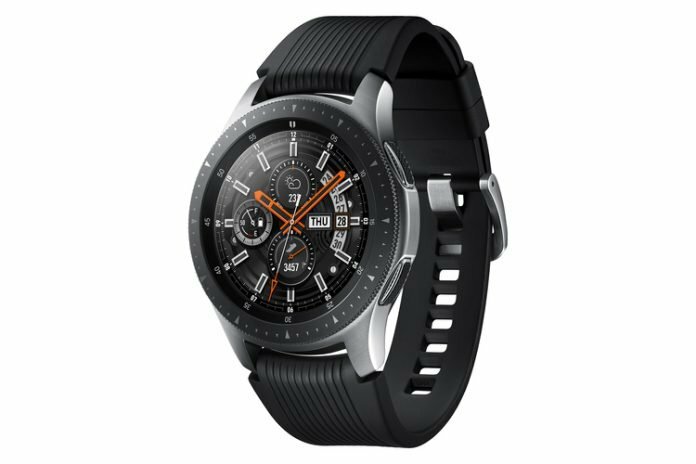 Home Gadgets & Outdoor Gear Samsung Galaxy Watch Unveiled! Today the Samsung Galaxy Watch was unveiled. The Gear S3 is predecessor of the newly named Galaxy Watch. While there has been some changes in design, they are subtle but I think welcome. This is a classy looking watch that will be available in two different sizes and 3 different color schemes. The smaller 42 mm version will be available in silver, black, and rose gold, while the larger 46 mm version will be available in silver and black. Of course, the rotating bezel is still a feature of the Galaxy Watch. 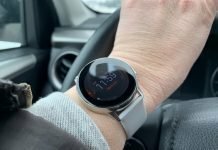 The rotating bezel is still one of the more practical and innovative features on any smartwatch and something Samsung definitely got right. Besides some design changes, most of the changes are software related and yes it is still running Tizen. 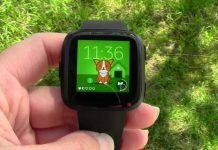 For a while, there was a rumor that the Galaxy Watch would be running Wear OS but that rumor was squashed a couple weeks ago, and personally I’m happy that it still running Tizen because it does work so well with that rotating bezel and the widgets just make sense on a smartwatch. 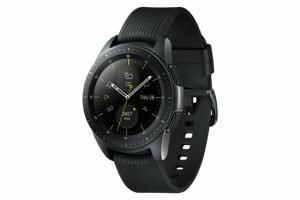 Wear OS could certainly take some lessons from Samsung, in my opinion. 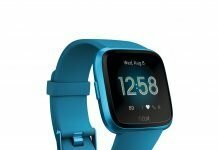 One feature that was also rumored to be released on the new Galaxy Watch was blood pressure monitoring but we don’t have it yet. Maybe we’ll see it on the new Apple Watch but we’ll just have to wait and see. Even though blood pressure monitoring isn’t on the Galaxy Watch, Samsung still dedicated many of the upgrades to improved health tracking. It now tracks more activities as well as your stress level. It is able to detect when you switch to a different activity automatically. Of course, GPS is still on board so you’ll be able to track both indoor and outdoor activities as well as use the GPS for third-party navigational apps. The battery life has also been improved. Samsung is claiming up to 5 days which is fairly impressive. The Galaxy Watch also has a mic and speaker so you’ll be able to make and receive phone calls when connected to your phone through Bluetooth (a more expensive LTE version is coming later) and be able to hear voice prompts for those apps that support it. This is something I missed on the Gear Sport. It makes sense to have a speaker for navigational apps or even when running or riding a bicycle to be notified of your progress as you go without having to look at your screen. Is it a worthy upgrade over the Gear Sport that was released last year? Well, that remains to be seen. The price of the Galaxy Watch for the 42 mm version is $330 while the larger 46 mm version is $350, so price will definitely come into play when deciding whether one wants or is able to upgrade just yet. The LTE version will be even more pricey. 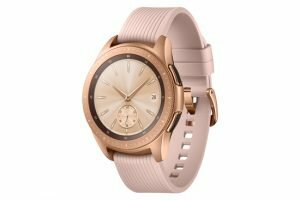 I think Samsung did a nice job creating a good looking watch that should be able to appeal to both genders. I appreciate that they didn’t forget the ladies. Yeah, I like the rose gold version but I like the black one even better and I’m happy that the smaller 42 mm version is available in all three color schemes so I have a choice like the men do. There’s another lesson some other smartwatch makers could learn from Samsung. They didn’t forget us ladies or give us limited options or a watch with fewer features. View the current price and availability of the Galaxy Watch on Amazon.